A senior executive at Netflix awarded lucrative contracts to two IT service providers in return for 12-15 percent cash kickbacks, and may have also accepted stock and gift cards from other companies in a corruption scheme that ran for years. [company]Netflix[/company] makes these allegations in a complaint (embedded below) filed in California state court against Mike Kail, who was the company’s Vice President of Information Technology Operations from 2011 until August of this year, and who is now employed as CIO of [company]Yahoo[/company]. Netflix says Kail was able to get away with the scheme because he was a “trusted senior employee” and had power over approving invoices. The company also states that Kail asked [company]DocuSign[/company], which is a third party contract verification company, to transfer Netflix accounts to his personal name. In the complaint, Netflix accuses Kail of various wrong-doings, including fraud, conversion and breach of fiduciary duty. 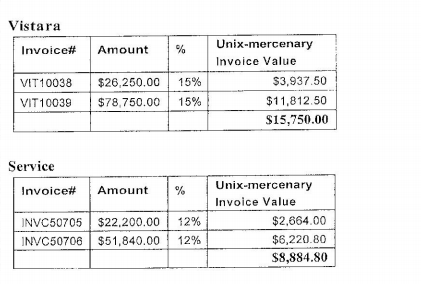 The company seeks to cover the payouts made to Kail and Mercenary Unix as well as punitive damages and a range of fees. Netflix does not name the other companies with which Kail may have arranged kickbacks in the form of stock and gift cards. The seriousness of Kail’s alleged actions also raise the questions of whether Netflix will ask state authorities to pursue criminal charges against Kail, or against the two companies that paid him, both of which were founded by the same individual. A Netflix spokesperson said by email that the company has no comment beyond what is in the complaint. Kail, whose Twitter profile says he is a lover of whiskey and “hater of mediocrity,” did not immediately reply to a request for comment. 1. Using corporate email to discuss the matter with low level employees at vendor firms? Really? A CIO would do fhis? 2. Would somebody not reasonably expect such a scheme would be discovered and have remained with Netflix rather than joining Yahoo? 3. The sums of money in terms of what sloshes around in the valley seem small. I suppose greed is greed, but after following Mike on Twitter for several years he seems passionate about his work and about making IT a vital and capable function of a business and dispelling stereotypes foisted upon IT and CIOs. Mike is such a capable person it was so disheartening for me to read this news. Regardless of the outcome I feel such stories make it difficult for a person to recover if the person is later found to be innocent and I wish him the best in what must be dark times.